Common safety paradigms, the author argues, hamper the progress of safety in the workplace, contributing to the more than four million serious injuries Americans suffer at work each year and to the rising work injury rate worldwide. Failure to reevaluate these accepted mindsets puts both safety professionals and workers in danger of locking themselves into outdated, preconceived concepts that could end in disaster. Fueled by more than 30 years in the safety industry and by thousands of interviews with managers and workers worldwide, McKinnon confronts the safety industry's most prevalent and most dangerous myths head-on. He identifies 20 common safety paradigms, examines how these misconceptions negatively impact the way employers manage safety and health in their facilities, and provides guidelines for changes that will reduce accidents in the workplace. 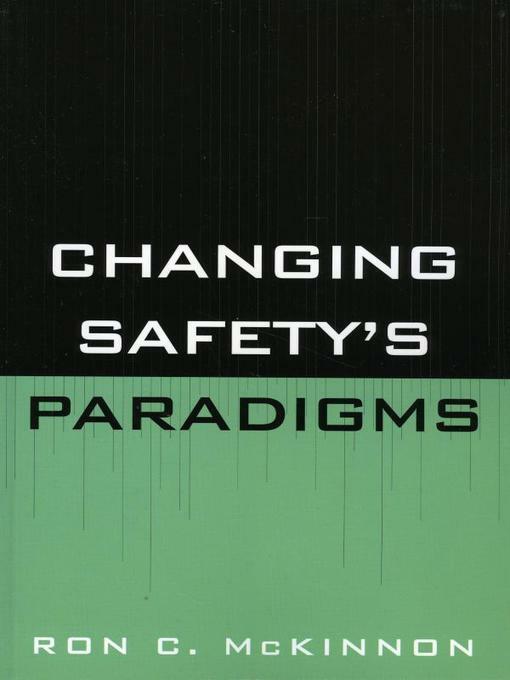 Each paradigm is examined in detail and includes real-world case studies, dangers, and guidance that you can immediately apply in your workplace to refocus your safety systems and reduce accidents.